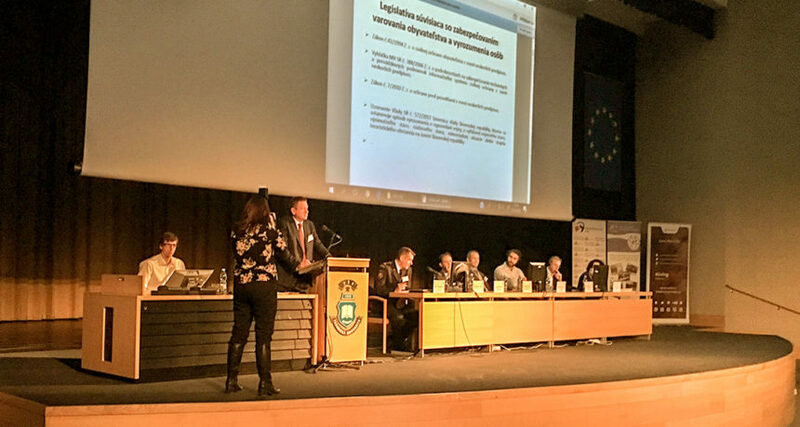 The 17th International Conference on CIVIL PROTECTION – Medical Rescue Work in Protection of Population 2018 was held from 31st January to 1st February 2018, in Ostrava, the Czech Republic. 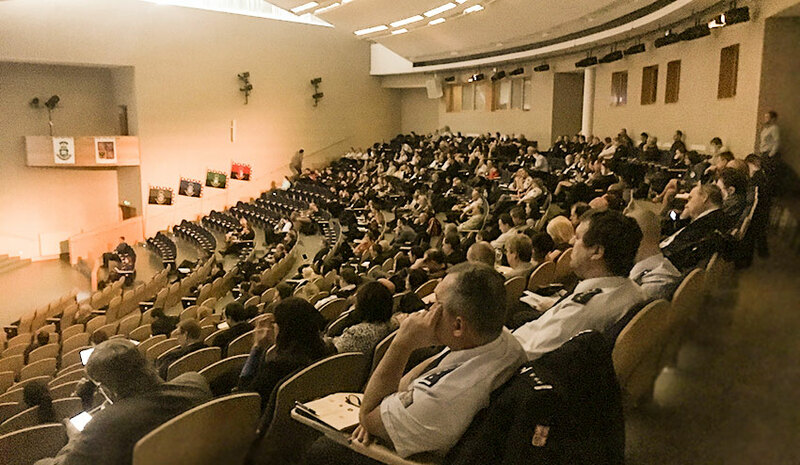 The conference took place under the auspices of the Technical University of Ostrava, the Fire & Rescue Service of the Czech Republic, Association of Fire and Safety Engineering, and the University Hospital in Ostrava. Staff members from our company attended the conference as spectators. A range of topics of acknowledged experts in the field motivated us to get up early in the morning and set off at 4 am. Every presentation was fascinating. Some of the protective measures presented caught us by surprise but broadened our horizons. Gradually, various representatives from such countries as the Czech Republic, Slovakia, Poland, Austria, Norway and Spain made their contributions: government, rescue and security service officials, university lecturers, and representatives of companies that develop warning and notification systems. The main topic in the warning field was the use of social networks that have been booming significantly in recent years. The individual representatives introduced their new systems using social-media platforms. They can offer interesting information on the activities of individual rescue and emergency units, imminent hazards as well as procedures to be followed in the event of an emergency (earthquake, flood, tsunami, volcanic eruption, fire, chemical attack and alike). They quietly wait to provide their services, always ready to notify the masses of an imminent danger in case it occurs. During an emergency, mobile lines get overloaded, resulting in their downtime. If there is a suspicion of mobile phone abuse or terrorist attack, the mobile network operators deactivate their mobile lines intentionally. Another reason why mass public warning and notification cannot be built on social media platforms is that although these systems can run on servers backed-up for a power failure, in reality, very few computers or mobile phones are backed-up for 72 hours. Unfortunately, emergency situations are almost always accompanied by a failure in power supply. Every mobile device has a silent mode, and it is possible to turn it off or leave at home. Any device that is off, silent or unavailable is unable to provide early notification of imminent danger. Although social networks are being increasingly used today, there are still people who do not know how to use smartphones and other intelligent devices (older adults or those living in less developed countries). Robust warning systems are independent. They are backed-up for at least 72 hours in the event of a power failure. They can be activated from multiple locations. As a rule, they have several interchangeable communications channels and, most importantly, they cannot be set into silent mode or left at home. They have become part of everyday life in developed countries, even without people being aware of them. They quietly wait to provide their services, always ready to notify the masses of an imminent danger in case it occurs. Jan has been working for Telegrafia for over eight years. He started as a sales representative for warning systems in the Slovak and Czech Republics. He also participated in managing small projects at that time. He has been through a number of communications, sales, and management training courses ever since, thanks to which he is now working as the international business team leader. Selling is his hobby not just work, so, apart from managing his team, he sells warning systems in the Czech Republic and Arabic-speaking countries. He is keen on sport and hiking, and his greatest passion is cycling.